Exactly a week after terminated workers of Jolly Plastics Molding Corporation mounted their protest camp outside their factory in Valenzuela City, their management has been forced to reinstate them back to work without any conditions. 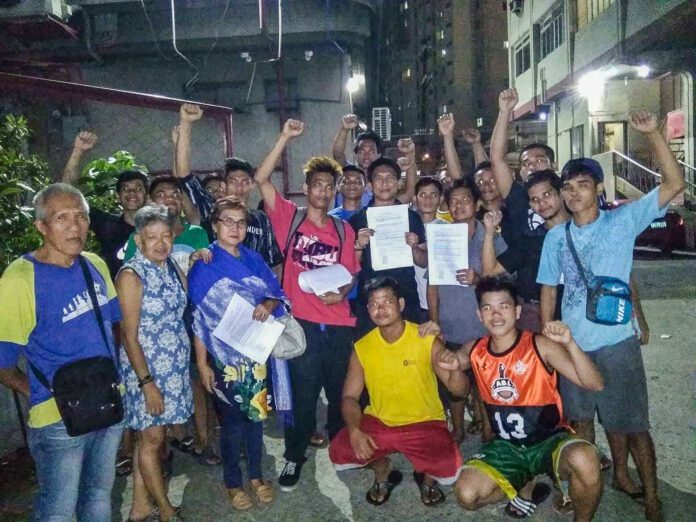 On the night of September 24, the management and the workers decided to sign a memorandum of agreement stating that workers can report back to work after almost two weeks of mounting protests against the plastic company. The Samahan ng Manggagawa sa Jolly Plastics Molding Corporation (SMJPMC) said that their reinstatement is a welcome development and is a clear result of their unified actions. Some twenty-five terminated workers constructed make-shift tents on September 17 outside the gates of their workplace after their management “constructively dismissed” them from going back to work. The dismissal came after the employees refused the company’s order to tell the Department of Labor and Employment inspectors that they are working eight hours and were receiving minimum wage. The labor inspection took place on September 11 to probe issues of regularization and labor standard violations. According to the SMJPMC, they have been working for 12 hours daily and were only receiving P430 for the said work hours. The SMJPMC and pro-labor groups Defend Job Philippines and Kilusang Mayo Uno – Metro Manila said that the recent victory of Jolly Plastics workers inspire all other workers in their respective struggles for regularization and for better and humane working conditions. The groups insisted that the triumph of Jolly Plastic workers only proved that only through militant collective actions can the Filipino working class achieve their legitimate and democratic aspirations.